An Intercontinental Ballistic Missile (ICBM) is a long range explosive device with the potential to cross oceans and continents. Many major world powers including all of the UN Security Council members have the capability to launch ICBMs. Since these weapons are often armed with nuclear warheads, they are highly destructive, and they would only be launched in extreme circumstances when other means have failed. Most nations have monitoring systems in place to detect the presence of ICBMs in the airspace, and some countries have also attempted to design systems which could neutralize these missiles. 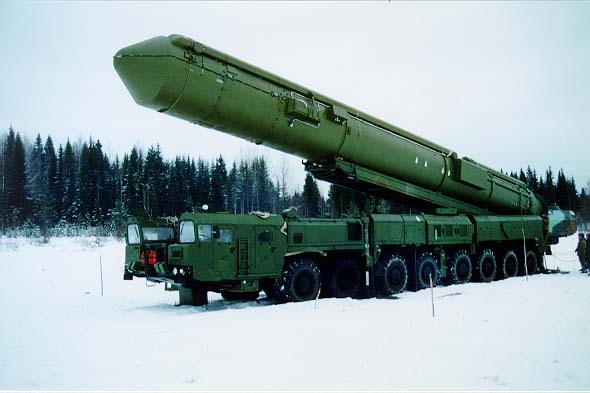 The first ICBM appears to have been developed by the Soviet Union during the Cold War, and powers such as the United States and China quickly followed once the Russians demonstrated the technology. 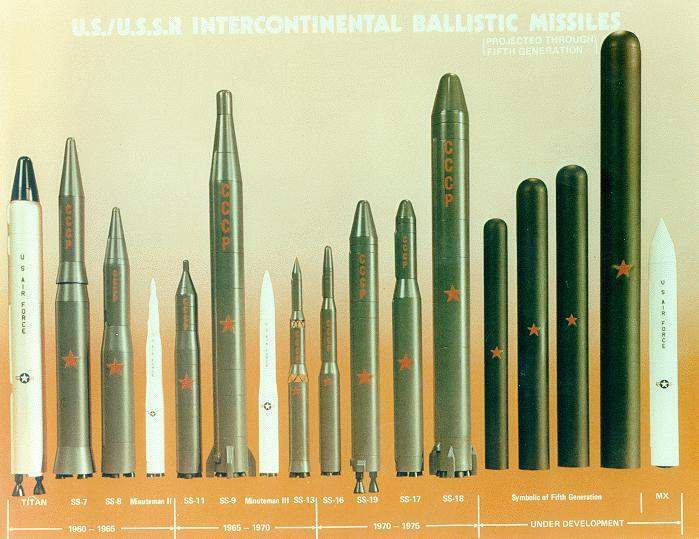 ICBMs were a major issue in the Cold War, since the participating nations were understandably concerned about missile launches which could threaten major cities. Some politicians felt that the proliferation of ICBM technology during the Cold War actually acted as a deterrent, under the Mutually Assured Destruction doctrine, which states that the use of nuclear weapons by a major power will result in retaliatory destruction of that power. The technology which guides ICBMs is actually quite sophisticated, when one considers that they are designed to explode upon impact. In addition to being packed with explosive material, an ICBM also has a guidance system. The launching nation can input an end destination, and the ICBM will correct its path during flight to ensure that it hits the correct target. Some ICBMs are also capable of breaking up into multiple bomblets for more widespread damage. Since an ICBM has a long range, the device can be used to attack a nation from a safe distance, an appealing method of waging war for many nations. Ballistic missiles can also be launched from submarines and some ships. 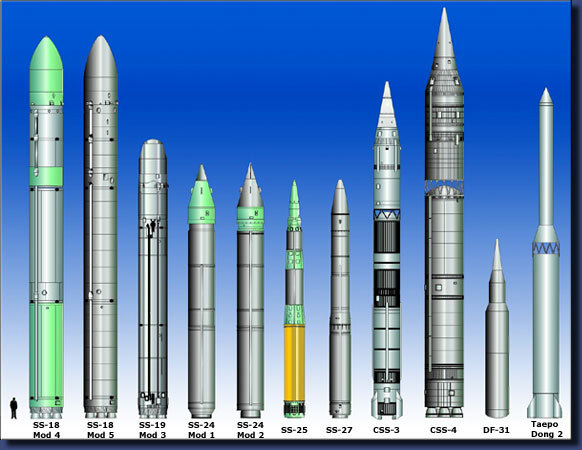 Several nations have also developed ballistic missiles with shorter ranges, which may be called medium or short-range ballistic missiles, depending on the amount of ground they can cover. These missiles are often developed early on in a nation’s ballistic missile program, and the launch of such a missile is generally viewed as a cause for concern, since it indicates that a nation is developing the technology to create ICBMs. In addition to being used to wreak havoc in opposing nations, an ICBM can also be used for the purpose of launching satellites. The Soviet satellite Sputnik was launched in 1957 via Russian ICBM technology, for example. The launch of Sputnik sparked mass panic among Western nations, since it was a decisive demonstration of aerospace power by Russia. ICBMs are also routinely tested without explosives to ensure that they are firing properly and to refine guidance systems; people who live near military bases may have noticed ICBM launches.